We are pleased to introduce Sabine Hossenfelder. 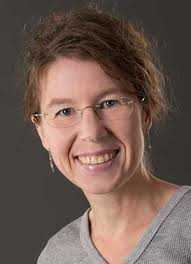 Sabine is a theoretical physicist from the Frankfurt Institute for Advanced Studies. Sabine also authors a very popular physics blog called backreaction. Reading your blog over the past 6 months or so, one gets a feeling that your views about (particle) dark matter versus modified gravity have changed during that time, or are at least in a state of flux. Where do you stand on this right now, and why? Both particle dark matter and modified gravity have pros and cons and I don’t think the case is remotely close to being settled. Given the fact, that physical models are commonly regarded as beautiful and in a sense minimal, how can we explain or classify ever expanding parameters: Super Lie algebras increasing gauge groups, increasing dimensions? Does it possibly mean we haven’t found the right language yet, or is real world description actually more complicated than the models we’d prefer? I have never heard of the fact that “physical models are commonly regarded as beautiful and in a sense minimal” and even if that was so I don’t know why it would matter. Yes, quite possibly it’s a pretty bad idea to rely on the aesthetic sense of humans to find a good theory to describe nature. What is your view on the absence to date of encouraging LHC results for supersymmetry? Should we reassess any fundamental assumptions and how might this impact future experiments? We should have reassessed the fundamental assumptions 30 years ago. I’m not a prophet and can’t tell you how such a reassessment would impact future experiments. What direction should experimental particle physics go? The major problem in foundational physics research isn’t the experimentalists, it’s the theorists. We need theorists to come up with good ideas for where to look for new physical phenomena, but theorists merely amend models they should have buried long ago. It’s clearly not working, but evidently we fail to learn the lesson. I’m afraid it’s a systemic problem that will be hard to fix. What are your views on Loop quantum gravity, and should top Universities like Princeton, Harvard, MIT, Stanford sponsor a loop quantum gravity research group and faculty? Can we expect anything exciting for theory in the experimental developments that will follow LIGO’s observation of a black hole merger? I mean developments in the most general sense – including the Japanese, Indian and space versions of LIGO. LIGO will likely deliver lots of new and exciting data for the theory of solar system formation, eg, or the population density of black holes and or neutron stars, not to mention precision tests of general relativity. Share with us some of the experiences you’ve had running the “Ask a Physicist” program. Everyone who calls us is very passionate about physics. I think I wasn’t previously aware how much fascination our research brings with it. Or maybe I had forgotten about it. Either way, it’s good to be reminded of it. Where do you get your inspiration from and how do you stay motivated when much of your work and questions may not be answered till after your passing? I am happy to contribute small pieces that I hope will one day help to solve a larger puzzle. Inspiration I find plenty in the literature – it’s full with open problems that are waiting for someone to tackle them. The more difficult part is making a wise decision for what is the best project to spend time on. This decision also has to take into account what pays the rent. I do go through phases where I lack motivation to continue with my research. In these cases I usually spend some time working on something entirely different. My music videos are examples for this. Also, writing helps a lot. It seems that there is more anti-science and misinformation in the media, which probably trickles down to our students. How can we better train our students to be more resistive to this? I think that all students should get a rudimentary education in logical fallacies, and cognitive and social biases, as well as means to prevent them. In your March 22, 2017 blog entry, the impression was given that you may leave academia in a few years. If this is true what are all the reasons you may want to leave, whether there is any minimal change that can keep you in academia and what that minimal change would be, etc. The blog entry was about perverse incentives in academia. I have considered leaving academia on and off for many years because of this. If you want to succeed in academia you have to play by the rules and my best chances at success would require me to work on topics I do not think have much promise. I don’t see the point in doing that. Would you recommend a young theoretical physicist to direct his career into a research of supersymmetry, and why? I’d recommend to all young physicists that they shouldn’t put all their eggs in one basket. Concretely, they should build up their research so that they can, if necessary, specialize in various different directions. Regarding supersymmetry in particular, I have no idea why anyone at this point would want to go into this research area. It’s overpopulated already, and there’s zero evidence it has anything to do with the real world. popular science book which I hope will come out in Spring 2018, but the date isn’t yet fixed. If I find the time, I’d like to think more about the covariant version of Verlinde’s emergent gravity that I recently wrote a paper about. It worked much better than I anticipated and I find this intriguing. In the next months, I’ll be working on a project on the phenomenology of quantum gravity (following up on a paper I wrote some years ago). Thanks for your time Sabine! We look forward to your future research and those physics music videos! I am surprised that she has never heard that the models are commonly regarded as simple and beautiful. Aren't they? Martin, where have you seen such comments on the models? Very good article. @Greg Bernhardt I wanted to give my vote and give it a "5", but I don't see anywhere I can click on to vote…. i'm glad you asked the question i've asked. i'm sure abhay ashketar or smolin or rovelli would disagree. what about loop quantum cosmology's contact with observation in CMB and other observable? what about loop quantum gravity reproducing hawking entropy and radiation? what about asymptotically safe gravity, noncommutative geometry, causal dynamic triangulation etc? should universities that do have LQG research groups and LQG researchers like penn state shut down their LQG research group and fire abhay ashketar et al? Should universities that do not currently have a string theory research group, set one up in light of current LHC SUSY results? Even as a layperson reading pop-sci accounts, I retain a strong impression that over the years, some inside physics have complained of the un-tidyness of various modern models; that smacks of an aesthetic argument. In this one discovery of the Greeks, there are the three aspects: experiment, mathematical relationships, and aesthetics. Physics has made great progress on only the first two parts. I didn't mean the latest speculative models, I mean mathematical models in general and throughout history. For example Dirac (and many others) has always maintained such a view. For example Dirac (and many others) has always maintained such a view. Clearly Dirac was expressing a preference only; his argument goes no deeper than that. So even in his time others might have dismissed such a view as irrelevant, just as they might today. This is besides the fact that beauty is subjective. There are no LHC results for supersymmetry, if we live inside a real material bubble of a raspberry shaped CP symmetric multiverse. Then super symmetry has even a multiple long distance entangled form down to each quantum. The Pantheon of Derivatives – Part V Lenses and Pinholes: What Does “In Focus” Mean?